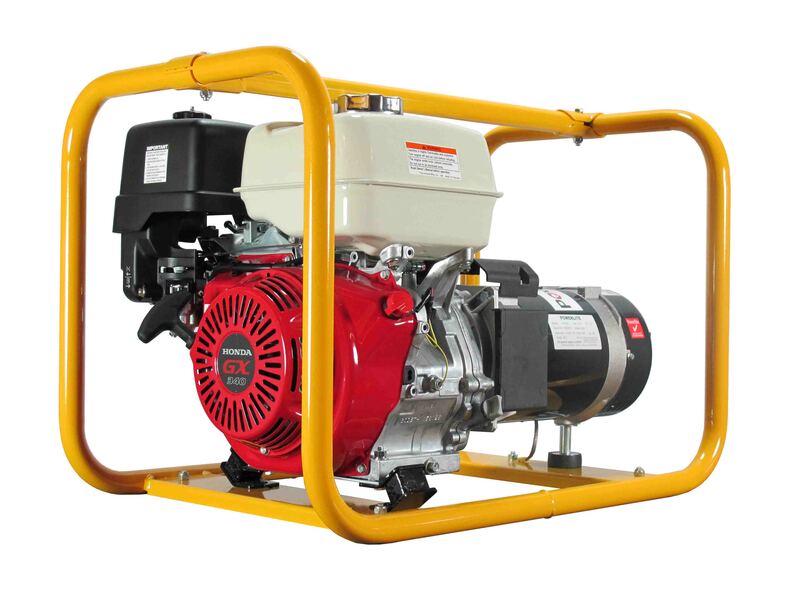 5,600W Petrol Powerlite Generator, powered by Honda with recoil start. 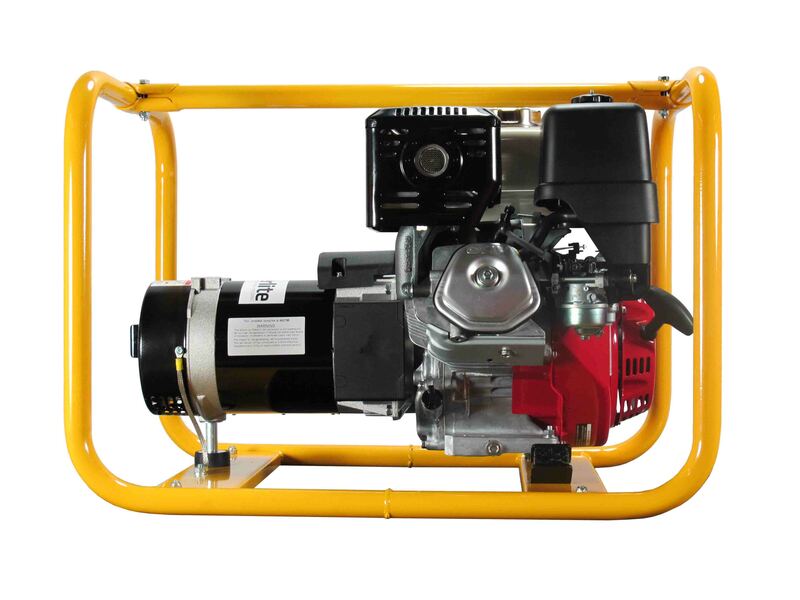 Its ideal use is to power portable electric tools, small machines, electric pump up to 1.5kW, air compressor, brick saw, pressure washer, lights and household appliances, provided that the total simultaneous power consumption at any one time is less than 5,600W. 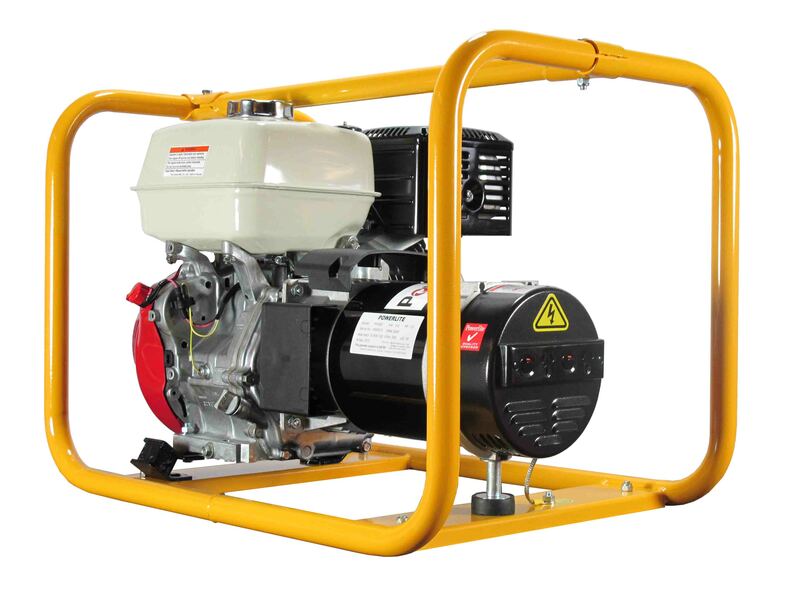 This rugged unit can power a 140A welder by itself on light duty cycle and 2.5/3.25mm rods. Options include: Wheels and handle roll frame, earth stake kit, WS2G – 2 gang protection module, WS4G Work Site / Hire Spec spec 4 gang protection module or WS6G Work Site / Hire Spec 6 gang protection module … please see Options or Work Site / Hire Spec for more details.